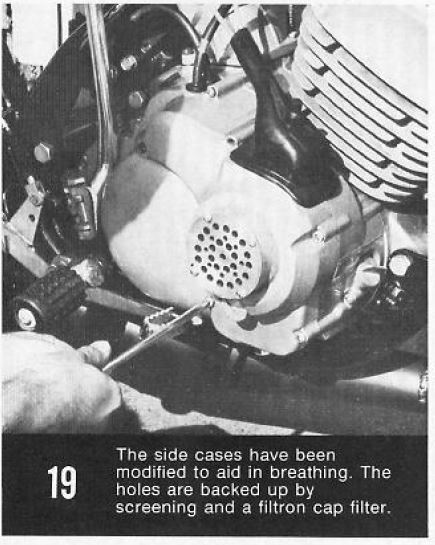 Below are scans of an article on how to make the Big Horn Hotter. 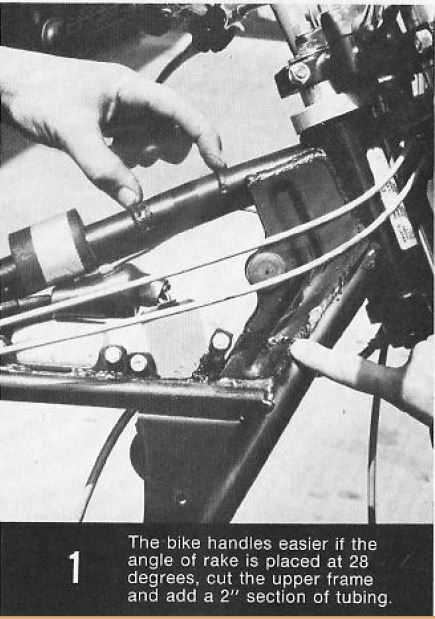 Some of the tips and tricks outlined are obviously geared more to making the F5/F9 Big Horn into a flat track racer so not all of the techniques will apply to your F5/F9 Big Horn, also 30+ yeas of knowledge later has shown that some techniques are maybe a bit questionable. 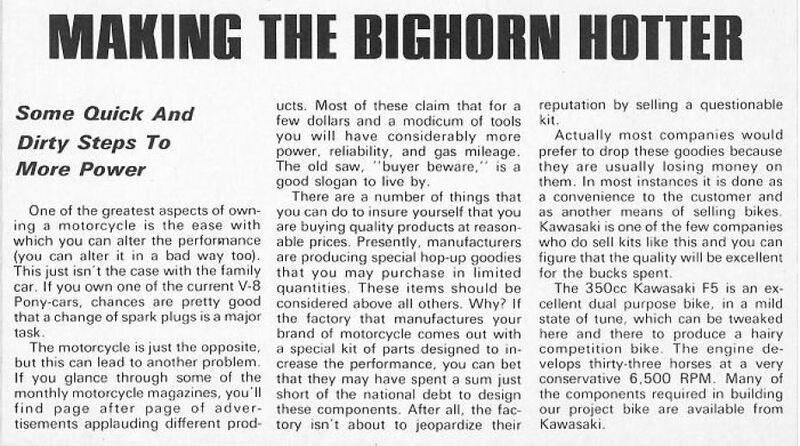 However it is a unique look back at some performance tricks for the Kawasaki Big Horn. Check out my videos for general performance tips and specific tips related to my performance F9 Big Horn build. Use the below information at your own risk. 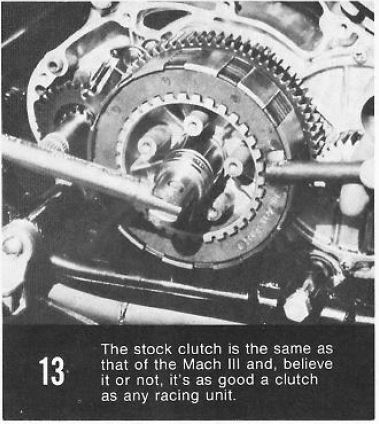 I also have all the information from the Factory "Speed Kit" on another page. It contains all the specs, parts, and instructions to modify your F5/F9 Big Horn. 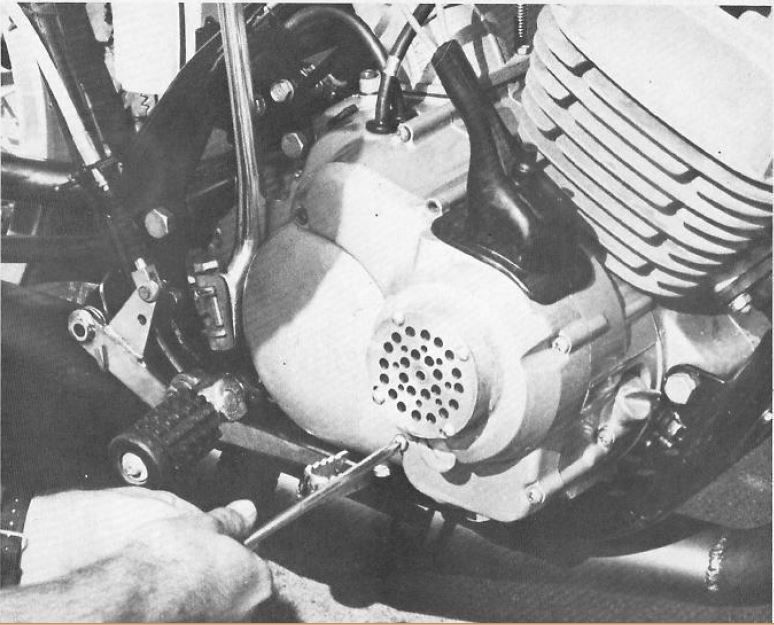 Need to replace that leaking vacuum operated fuel tap (petcock) on your Big Horn (350cc) or Bison (250cc)? 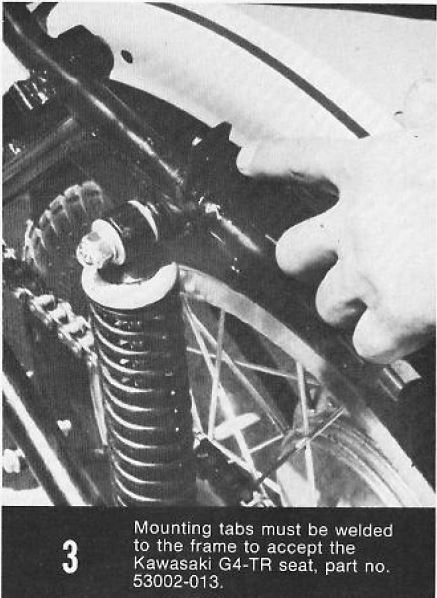 Try this replacement fuel tap that fits 1975-present Harley Davidson Sportsers HD p/n 62163 OR Biker's Choice p/n 49-2599 it has a straight outlet and features 22MM threads that fit any tank with 22MM threading. 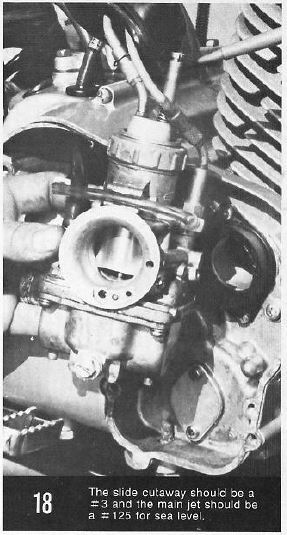 This will fit F5,F9 and F7 (175cc). 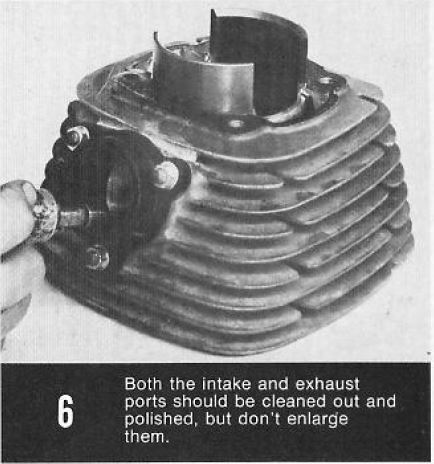 Can be found on Ebay and various sources. 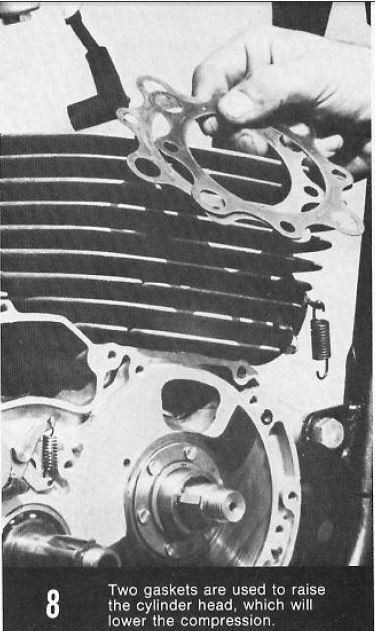 This is another one that is questionable, as using two or three gaskets will lower compression and help prevent detonation, however it still doesn't fix the issue of the head not having a proper squish band. 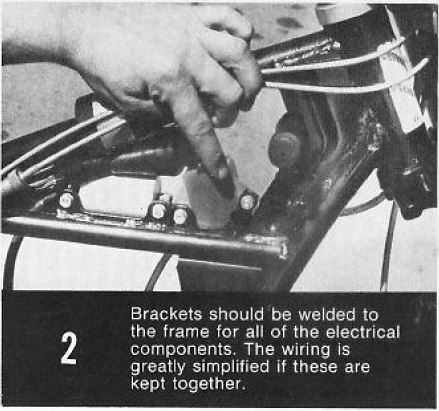 Klemm Vintage has a good picture of this on his website. Follow my videos for jetting tips. Each situation will be different. 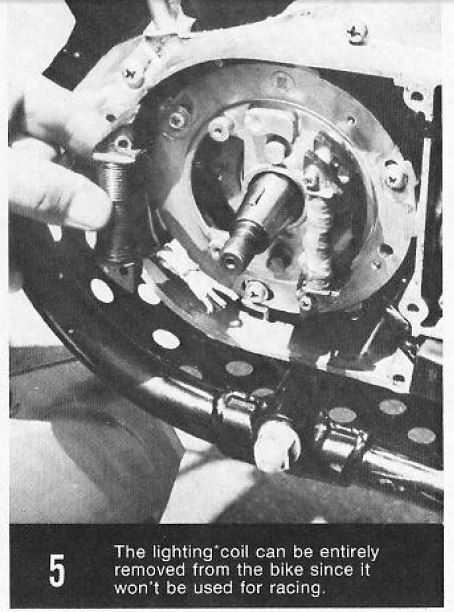 Below are pictures of the rare F81M button mag, magneto and lightweight flywheel setup that came stock on the Kawasaki F81M (250cc). 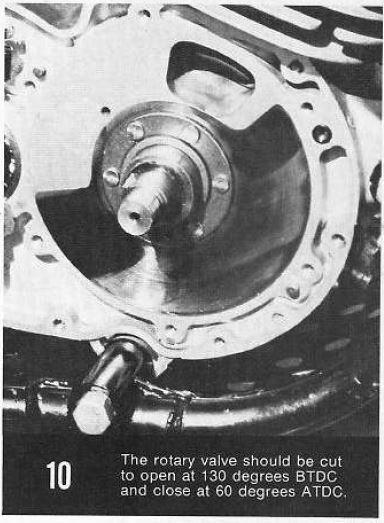 This is/was a popular upgrade from the heavy stock F5/F9 flywheel (almost 3 lbs!) 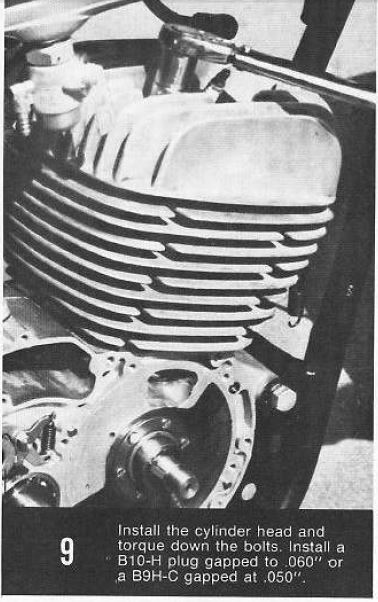 This will really make your F5/F9 (350cc) spin up quicker. This also fits the F11M. 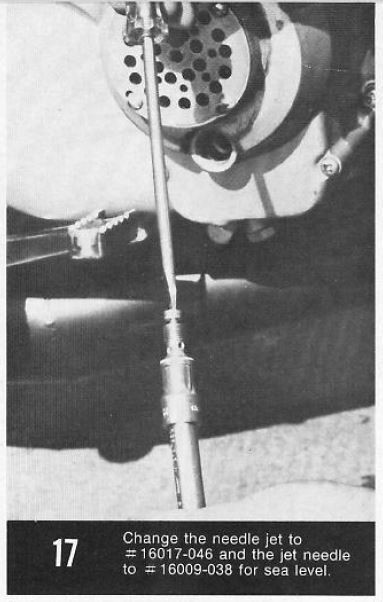 Improving the seat on the Big Horn for racing as the stock F9 seat is hinged and uses the ignition key to latch and lock it down which is unnecessary for a racing machine. 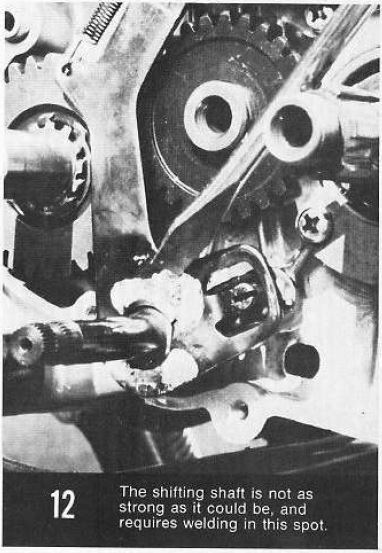 There is conflicting opinions on if this is a good idea from a performance and reliability standpoint, remove piston ring at your own risk. 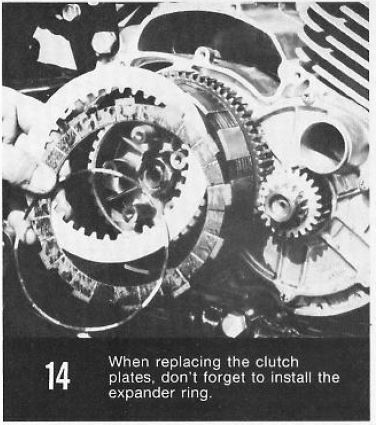 Some people will argue that the ring groove will alter exhaust port timing and or disrupt flow. 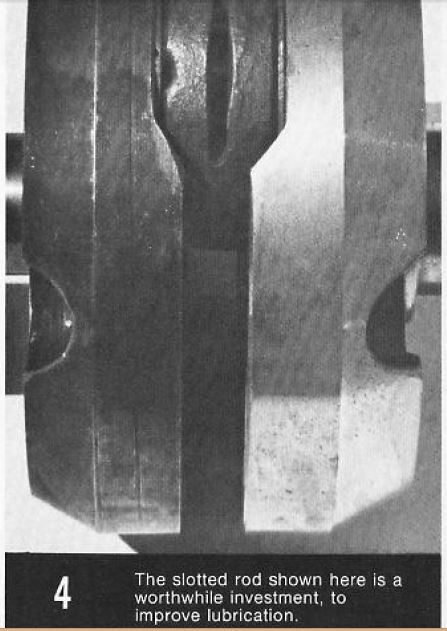 However others will dis-agree stating that the 3rd ring only adds weight and friction and is not needed, a valid argument. 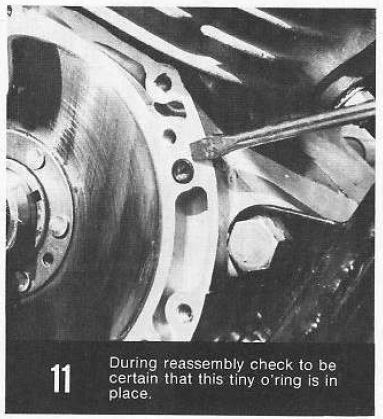 The factory service manual states the reasoning for the 3rd ring is for heat transfer and cooling. 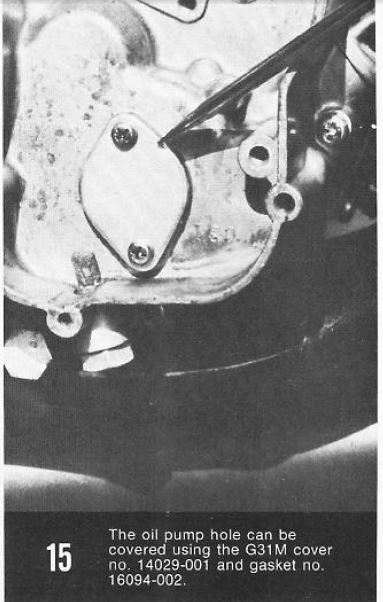 The "Speed Kit" piston only has 2 rings but is of a slightly different design and is lighter, which begs the question why the "speed kit" piston didn't become standard equipment in the later F5A and F9? 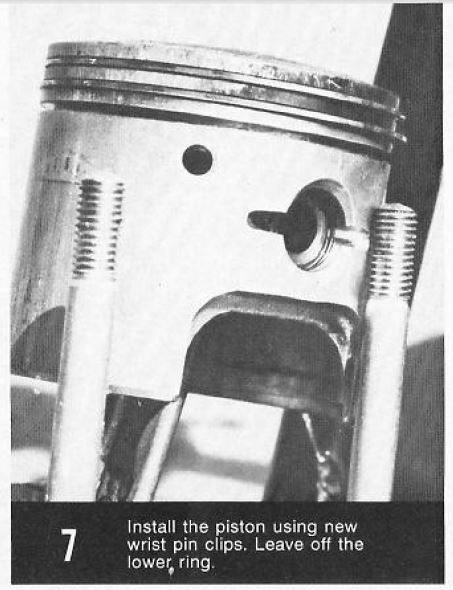 This suggests a possibly long term reliability issue in a non racing application. 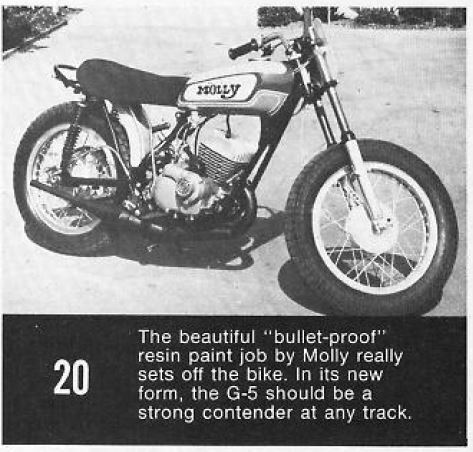 "Molly" sure looks like a decent flat tracker and it would be nice to know what exhaust is on that bike. Use the information above at your own risk.